Carrollton Hall is a residence hall consisting of suites and apartments. The building was completed in 1999 and is the newest residence hall on campus. 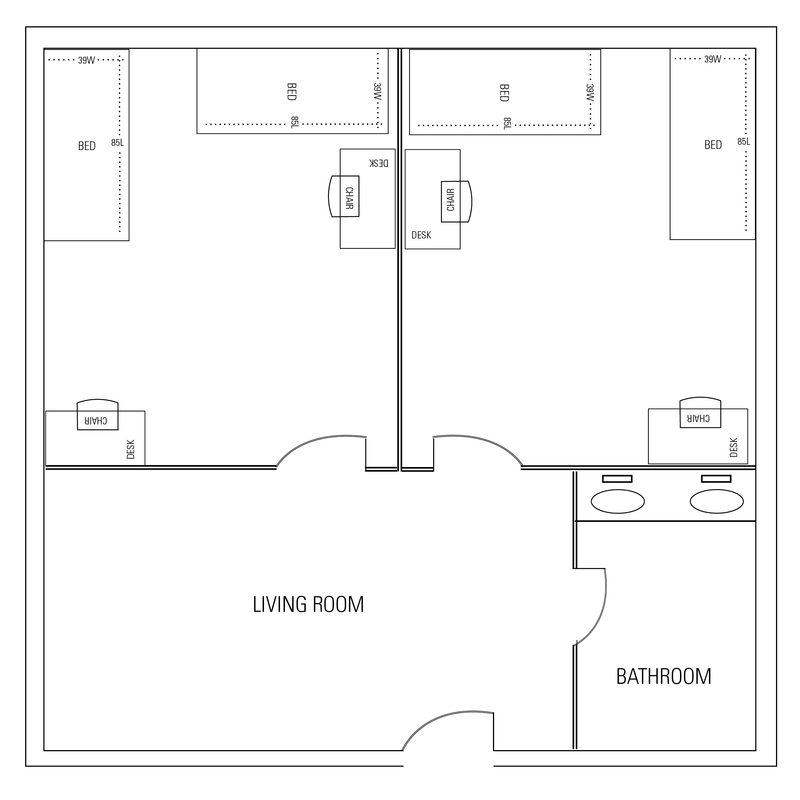 The suites on floors 2 through 5 consist of two bedrooms, a living room (common area), and a bathroom. There are two community kitchens on every suite floor. The apartments are on floors 6 and 7. In addition to the suite amenities, apartments have a kitchen and consist primarily of single rooms. All rooms in Carrollton Hall come with adjustable room temperature controls, movable furniture, basic cable, and ethernet/wireless internet.